Oregon Child Development Coalition (OCDC) invites the submission of responses to its Request for Qualifications and Quotations (RFQQ) for SharePoint Consulting Services. Located in Wilsonville, Oregon, OCDC is seeking to identify individuals or firms capable of providing consulting services to improve user adoption and system effectiveness. OCDC currently operates on-premises SharePoint Server 2010 with standard client licenses. It is OCDC’s intent to establish one or more professional services agreements with qualified contractors selected through this RFQQ. This is not a Request for Proposals (RFP), and, thus, OCDC is not currently seeking proposals for any specific project or projects. The deadline for submitting responses has been extended to December 6, 2017 at 1:00pm, PST. All questions should be addressed to nancy.orem(at)ocdc.net. Research tells us that early childhood is the best time to learn a second language. Young children’s brains are wired to learn as much information as they can. But what really happens when a child is exposed to a second language? If your child starts going to a bilingual school, what should you expect? It’s probably no surprise that every child is different. Children learn languages in different ways and in different stages. When some children start learning a new language they go through what’s called a “silent phase”. When a child is exposed to a new language, their brain wants to figure out what is going on around them. They start listening and looking more carefully. They will use context clues to figure out what is going on. Sometimes, when a child is learning a second language, they will not speak as much in their home language. This “silent phase” is completely normal and many children experience it. Some children will experience it for a long time. Some children will slow down their speech, or take more time to respond to a question. These responses are all OK, because everyone learns a little bit differently. The best way to support a child going through a silent phase is to use lots of body language, facial expressions and physical objects while you are communicating with them. If you can, it’s good to make connections between the home language and the second language, like having a book with the same story written in two different languages. It’s also important to continue speaking to your child in your home language and to be patient with them. Singing songs together is a great way to help build language skills too! It can help your child’s development while their brain “decodes” the second language and learns how the two languages can work together. 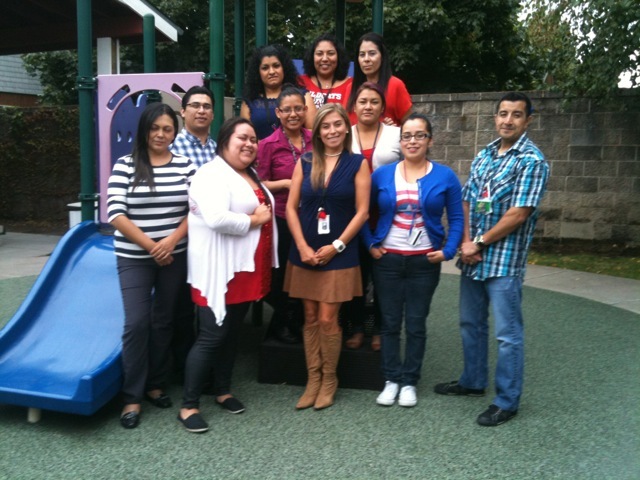 If you have questions about your child’s language development, you can ask your OCDC teacher for help. She can help you create games you can play with your child, or she can help you find resources from OCDC or from the community. Don’t be afraid to ask! We are here to help you and to help your child, so that everyone grows up as health and as happy as possible. Los estudios de investigación nos dicen que la etapa de la niñez temprana es el mejor tiempo de aprender un segundo idioma. El cerebro de los niños pequeños está listo para capturar la mayor cantidad de información posible. ¿Pero qué realmente sucede cuando un niño está expuesto a un segundo idioma? Si su niño comienza a asistir a una escuela bilingüe ¿qué debe esperar? Cuando los niños están expuestos a un nuevo idioma, su cerebro quiere figurar qué está pasando a su alrededor. Ellos comienzan a escuchar y a ver con mayor atención y a usar claves en contexto para entender lo que está pasando. Algunas veces, cuando los niños están aprendiendo un segundo idioma, ellos no hablan tanto en su idioma del hogar. Esta “etapa de silencio” es completamente normal y muchos niños pasan por esto. Algunos niños la tendrán por un largo periodo de tiempo. Algunos niños hablan más despacio o toman más tiempo para responder a un pregunta. Estas respuestas están bien, porque cada uno de ellos aprende un poco diferente. La mejor forma de apoyar a un niño que está pasando por la etapa de silencio es usar mucho lenguaje corporal, expresiones faciales y objetos físicos mientras se están comunicando con él. Si puede, es bueno hacer conexiones entre el idioma del hogar y el segundo idioma, tal como tener un libro con la misma historia escrita en los dos idiomas. Es importante continuar hablándole a su niño en su idioma del hogar y ser paciente. Cantar canciones juntos es una gran forma de ayudarles a adquirir lenguaje también! Esto puede apoyar el desarrollo de su niño mientras que su cerebro “descodifica” el segundo idioma y aprende en qué forma los dos idiomas pueden trabajar juntos. Si tiene preguntas acerca del desarrollo del lenguaje de su niño, le puede pedir ayudar a su maestra OCDC. Ella le puede ayudar a aprender juegos que puede jugar con su niño o le puede ayudar a encontrar recursos en OCDC o en la comunidad. No tenga miedo de preguntar! Estamos aquí para ayudarle a usted y a su niño, para que todos crezcan lo más sanos y felices posible. OCDC is soliciting responses to its Request for Qualifications (RFQ) for Employee Training Modules. Responses from qualified contractors to design and develop employee training modules in classroom-based, e-learning, and /or blended formats are immediately welcome. The response deadline for this RFQ is April 10, 2015, 1pm PDT. Check out the Safe Sleep article in the Oregonian that features our cribs for kids program! Each year 4,000 infants die suddenly and unexpectedly in the U.S. More than half of these deaths are due to Sudden Infant Death Syndrome, commonly known as SIDS. Recent research from the American Academy of Pediatrics shows that most infant deaths happen in a bed-sharing situation: close to 74 percent of deaths in babies younger than four months, and 60 percent of deaths in babies four months to a year old. The Oregon Child Development Coalition is leading a statewide initiative to increase safe infant sleep. To do this, we, provide education to families, staff, and the greater community while providing safe sleep resources to families in need. In early 2014, OCDC became the first Cribs for Kids® partner in Oregon, and receives Graco® portable cribs at a reduced rate. In only four months, OCDC has provided more than 100 cribs to families who otherwise would go without. OCDC is searching for additional funding from private donors to pay for more cribs; OCDC is also encouraging other agencies and institutions to become a partner with Cribs for Kids®. With the support from donors and partners statewide, we can do more. To keep our babies safe, we as parents need to put our babies to sleep in a crib with a tight fitting mattress, on his or her back, with no sheets, blankets, or stuffed animals. If you’re interested in attending an OCDC board meeting, you can find the schedule here. On Wednesday December 10th, the White House teamed up with The National Center for Infants, Toddlers and Families to #RallyForBabies and remind us all that early childhood experiences matter! 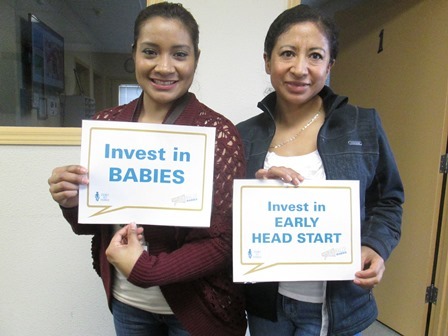 Here are two awesome employees from Washington County reminding us to invest in babies and in Early Head Start! A quick announcement: OCDC is having its next Board of Directors meeting on November 15th, 2014 from 9 a.m. to 2 p.m. at our Wilsonville office (9410 Sw Pioneer Court, Suite E Wilsonville, OR 97070). These meetings are open to the public and you are welcome to join us. 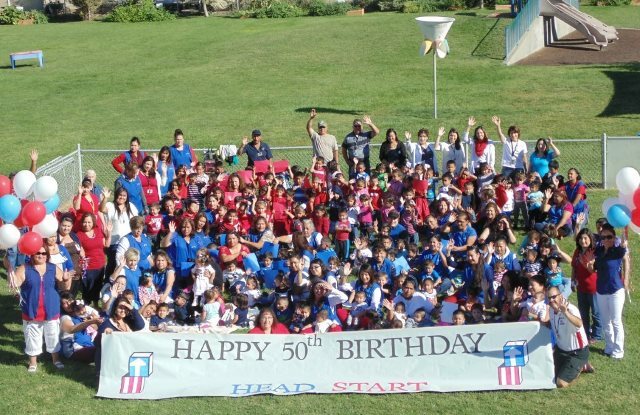 All across the country, folks are celebrating the 50th anniversary of Head Start by wearing red, white and blue. 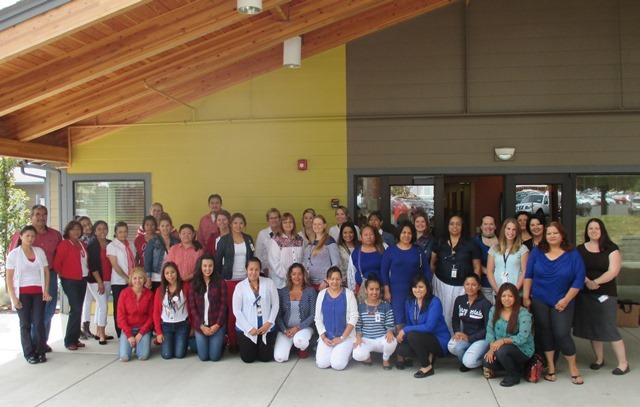 The team from Malheur County – staff, parents and students – went all out! 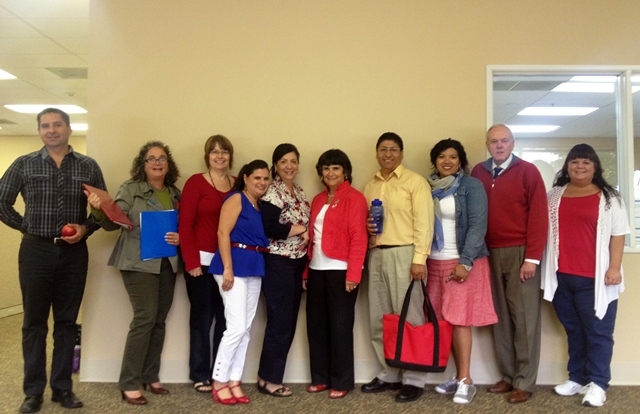 Here’s our team from Washington County showing their pride! 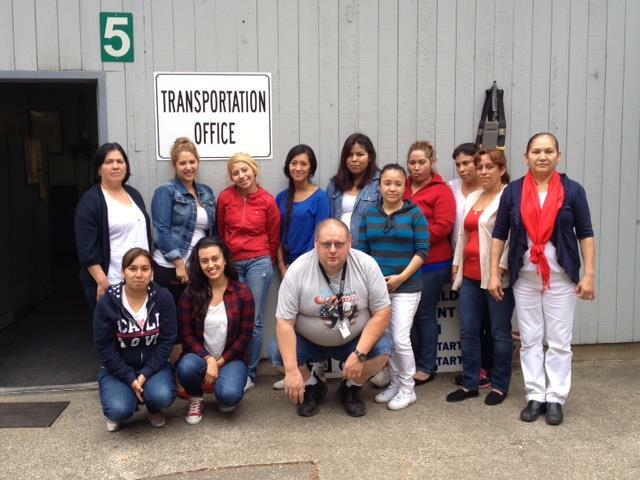 And here is our Transportation team from Washington showing their pride! You want to see more? How about our Washington County Family Services team? 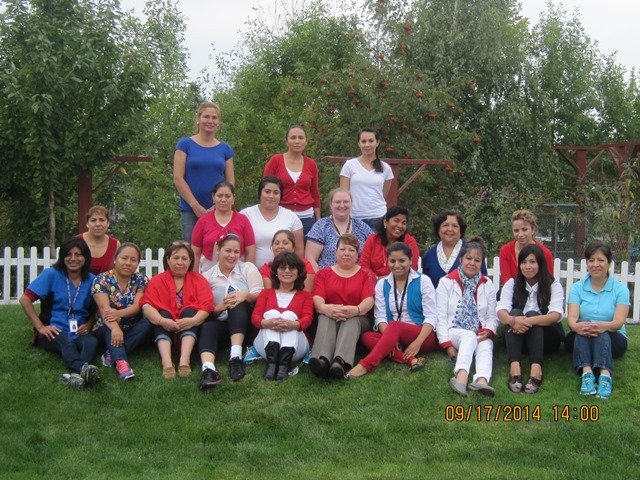 … & a few of our Central Office staff join Donalda to show their Head Start Pride! Anita Gallegos, our HR administrator in for Hood River and Wasco County, was featured in last month’s Women in Business section of the Dalles Chronicle. Anita and the team in the Dalles run an intense program during cherry season – everyone has to be hired, trained and ready to go in a few weeks. The team has to work 12-14 hour days during peak season, and we couldn’t do it without Anita! You can see the article here – and congratulations Anita, you deserve the recognition for your hard work! 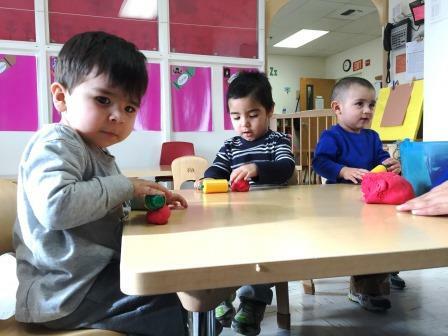 Thanks to a generous Oregon PreKindergarten expansion grant, OCDC will be providing services to 40 preschoolers in Chiloquin! Check out the Saturday article from the Herald and News. Toddlers from a classroom in Klamath show off their yummy vegetables! We have community gardens on the playground, and each classroom grows veggies for kids to eat and take home. The kids were so excited to take them home and show their parents! Welcome to the new OCDC Website! We’re excited to introduce our new and improved website! Take a tour and find out how you can get involved with the amazing team at OCDC.